Our very own Dr. Charles Herlihy discusses economic stress in the Cover Story in Fort Worth Business Press. Click here to read about How Depression Increases in a Tough Economy. Always show your Nanny respect for her hard work. You know how tough the job really is! 2. Recognition for a job well done! 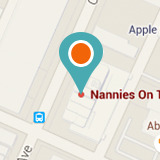 If a Nanny does something exceptionally well, let her know, and watch it continue! Good communication is essential in any relationship, and especially with your Nanny. Encourage openness. Schedule performance meetings as needed. If more hours and responsibilities are added to her duties, your Nanny will expect more pay. And, she deserves it. Remember she is guarding your most precious possessions. Please give her as much advance notice as possible when adding later hours and weekends. Offer alternative time off whenever possible. Negativity disturbs harmony. Take arguments elsewhere when they do arise, if at all possible. Like your spouse, your Nanny is a partner in childrearing. Stand behind her when children are challenging authority. Nannies become very attached to their young charges and cherish the stages of growth. Be grateful for the bond. A good Nanny wants to add to a parent, not replace them. When a mother or father works at home, it can be tempting to visit the children frequently. However, it can be confusing and create loyalty issues for your child. Enjoy your time off. Allow your Nanny to plan outdoor and off premise activities that are entertaining and intellectually stimulating for your child and your Nanny. No one wants to be on house arrest.